Our weekend and the first part of the week was rough. Raylan was diagnosed with Strep and was also dehydrated. He had to miss school on Monday, but he is hopefully now on the mend. Let's recap my favorites from this week because all of that sickness definitely was no fun. 1) I rounded up my Fall Bucket List and can't wait to get started in on all the fun that Fall has to offer if it would ever stop raining. You can check out my bucket list here. 2) Tuesday, we celebrated my brother's 26th birthday. I really cannot believe he is that old. It sure makes this big sister feel a lot older. 3) I noticed that our local Walmart now has most of their Christmas decor out. That makes my heart oh so happy. I just love Fall and the upcoming holidays. I'm so excited! 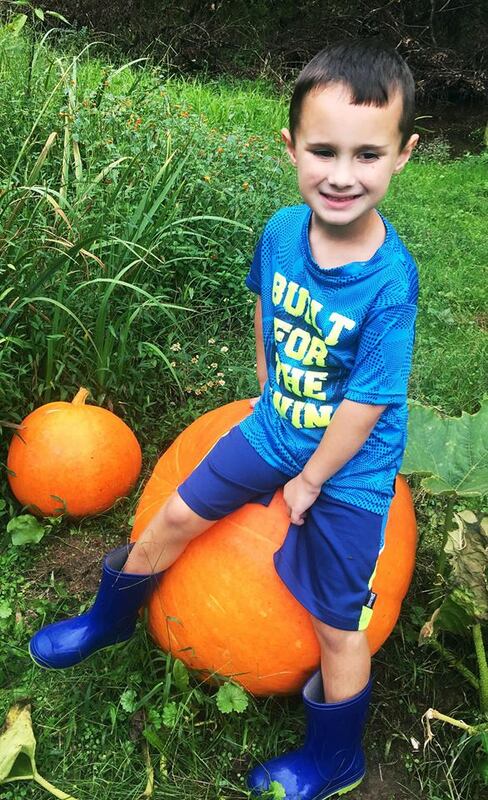 4) A good friend of ours grew a few pumpkins and invited Raylan down to his house to pick one. Raylan was so excited to get his first pumpkin of the year. He loves Pumpkin Patches! 5) My husband is starting a new job next week so your prayers are appreciated for him and us as he embarks on this new journey.